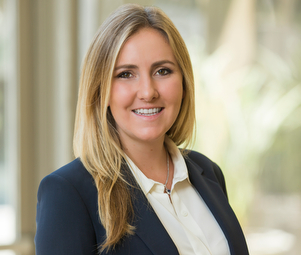 Caitlin Zirpolo specializes in the disposition of shopping centers in Southern California with an emphasis in the regions of Orange County, Inland Empire, and San Diego. She leverages her strong background and understanding of finance and the real estate market to provide an unparalleled level of true value to her clients. Her persistent work ethic and the dedication she puts toward her clients enables Caitlin to create meaningful business transactions. Caitlin’s relationships span from billion dollar REITs to family-run management companies, where she genuinely values each and every client relationship as shown by her and her team’s track record. Prior to her current role at Matthews, Caitlin has held positions with Cushman & Wakefield and Marcus & Millichap.